The DXY extends its drop to a fresh 2-week low on Monday. AUD/USD adds more than 20 pips on the day. 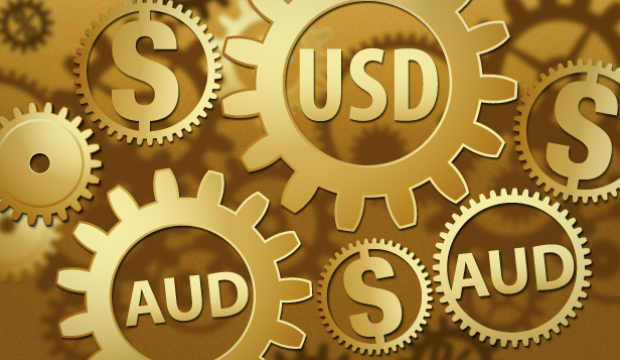 After recording its best weekly percentage gain since mid-July last week, the AUD/USD started the day on a positive note on Monday as it took advantage of the greenback weakness. As of writing, the pair was trading at 0.7670, adding 0.3%, on the day. Despite a lack of fresh fundamental catalysts, the US Dollar Index is staying under a broad-based selling pressure on Monday as investors are moving to the sidelines before they see the outcome of the tax bill talks. After surging higher toward 94, the DXY is now testing the 93 mark and losing nearly 0.5% on the day. "The prospects that the Republican-controlled legislative branch would find a compromise to tax cuts were enhanced when a few senators appeared to capitulate without much to show for it. This may have helped lift US stocks and dollar ahead of the weekend. Each chamber must now approve the reconciliation measure, which does not look particularly like either the House or Senate bills, though the regressive thrust was maintained,"
The first critical resistance for the pair could be seen at 0.7715 (200-DMA) followed by 0.7770 (100-DMA) and 0.7835 (Oct. 23 high). On the downside, supports align at 0.7630 (50-DMA), 0.7585 (20-DMA) and 0.7500 (psychological level). The RSI indicator on the daily chart continues to push higher above the 50 mark, suggesting that the bullish momentum is building up.